Abraham Lincoln is one of the most revered presidents in eyes of many Americans. 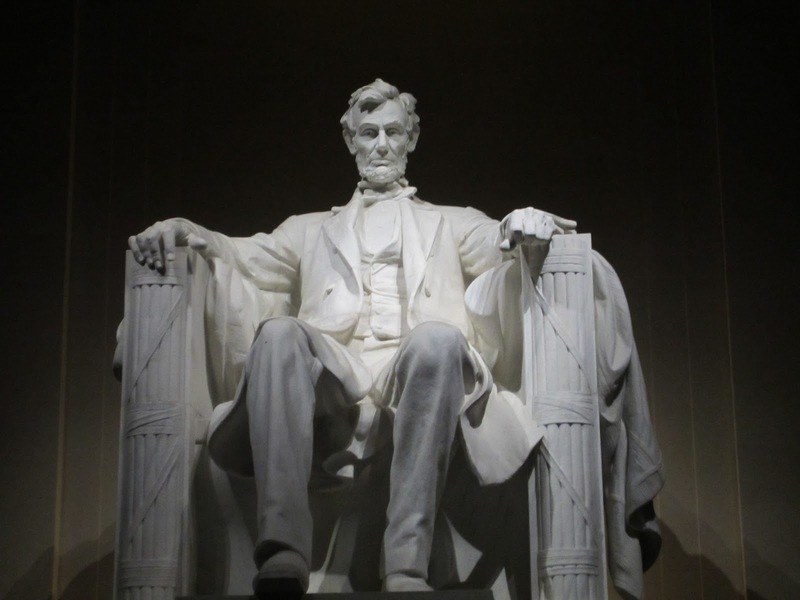 From lip-syncing in awful car commercials to being portrayed by elite actors in award-winning Hollywood productions, few historical figures - especially presidents - can match the level of popularity and respect of Honest Abe. Myth #1: Lincoln's war saved the Union. Nothing saves a country like a civil war. The reality: Lincoln's war ended the voluntary nature of the Constitution at gunpoint. In all of our founding documents - the Declaration of Independence, Articles of Confederation, and the Constitution - the states described themselves as "free and independent." The intention was for the individual states (and their residents) to retain their sovereignty over domestic issues while the Federal government was only given very specific powers (foreign affairs and multi-state disputes) as enumerated in the Constitution. This is why we have the understanding that the government gets its power from the consent of the governed. Lincoln ended that. By declaring war on states that had seceded peacefully, Lincoln made membership in the Union compulsory. Even if the people of the southern states no longer consented to being governed by what they believed to be an oppressive and dictatorial government, Lincoln was going to force them to submit. Abraham Lincoln set the precedent of the Federal government trampling over the rights of the states. This is one of the biggest reasons we have such an out-of-control Federal government: the Civil War destroyed the power of the states to stand up to abuses by the Federal government. Myth #2: Lincoln had to invade the South to end slavery. "My paramount object in this struggle is to save the Union, and it is not either to save or destroy slavery. If I could save the Union without freeing any slave, I would do it; and if I could save it by freeing some and leaving others alone I would also do that. What I do about slavery, and the colored race, I do because I believe it helps to save the Union." "I have no purpose directly or indirectly to interfere with the institution of slavery in the States where it exists. I believe I have no lawful right to do so, and I have no inclination to do so." The only reason Lincoln may have pushed to abolish slavery was to cripple the Southern economy, not because he was opposed to the institution itself. Let's not forget that the Emancipation Proclamation didn't actually free any slaves, and Lincoln actually had very, very little to do with the passage of the 13th Amendment. If Abe's objective was to end slavery, then a war was completely unnecessary. 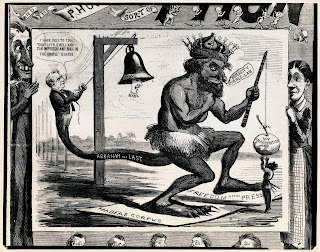 During the 19th century, there were dozens of countries that abolished slavery peacefully, without fighting a war over it (through compensated emancipation). These countries include: the British and Spanish empires, Mexico, all of Central America, French and Danish colonies, and Bolivia, and Chile, and Venezuela, among many others. It's pretty obvious that even if there was no Civil War, slavery in America was becoming very unpopular and would've ended anyway. Considering that Jefferson Davis sent several diplomats to Lincoln to negotiate peace and even stated that the Southern states only wished to be left alone, it seems that war really was the last resort for everyone but Lincoln. Myth #3: Lincoln championed racial equality. The reality: Lincoln was no fan of black people. 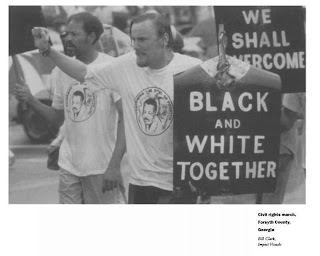 "I have no purpose to introduce political and social equality between the white and black races. I, as well as Judge Douglas, am in favor of the race to which I belong having the superior position." "I will to the very last stand by the law of this state, which forbids the marrying of white people with Negroes." "I will say then that I am not, nor ever have been in favor of bringing about in anyway the social and political equality of the white and black races - that I am not nor ever have been in favor of making voters or jurors of negroes, nor of qualifying them to hold office, nor to intermarry with white people; and I will say in addition to this that there is a physical difference between the white and black races which I believed will forever forbid the two races living together on terms of social and political equality." "I cannot make it better known than it already is that I strongly favor colonization." Myth #4: Lincoln defended civil rights. Ordered troops to interfere in Northern elections on the side of Republicans. 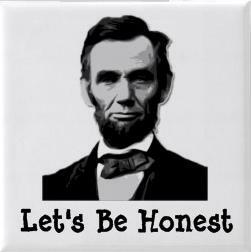 Myth #5: Lincoln was honest. This is probably the most popular myth: good-ol' Honest Abe. Unfortunately, Lincoln was known for saying one thing in front of one crowd and something contradictory to another. Afer all, this was before the internet and the only way people would catch on is if they actually went to every one of his speeches or appearances. For example, while on the campaign trail, Lincoln would talk in fiery abolitionist rhetoric to the anti-slavery crowd while talking up states rights and insulting black people in the Southern states. Let's not forget that Lincoln manipulated the country into an unnecessary, evil war. Lincoln provoked the South into firing the first shots at Fort Sumter (no Northern troops were even killed during event). Lincoln, knowing that Governor Pickens of South Carolina had already asked the Federals to abandon the fort (given that S.C. had seceded and had the rights to Fort Sumter), sent ships, troops, and munitions to resupply it. 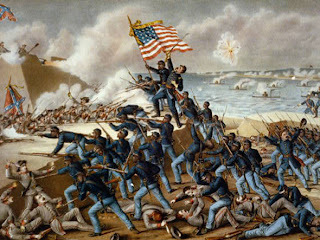 Lincoln hoped that the South would mistake the sudden movement of a large amount of troops as an act of war, and it did. The Charlestown militia took Lincoln's bait and started bombarding the fort, and the rest is history. It's sad that most don't already know this. It's frustrating that most won't believe it. It's a tragedy that the schools don't teach this. Do schools teach or indoctrination? Abraham Lincoln was the President right before John Lennon if I'm not mistaken. The south was less populous, had fewer soldiers, less money, less industry, and was at a severe disadvantage. 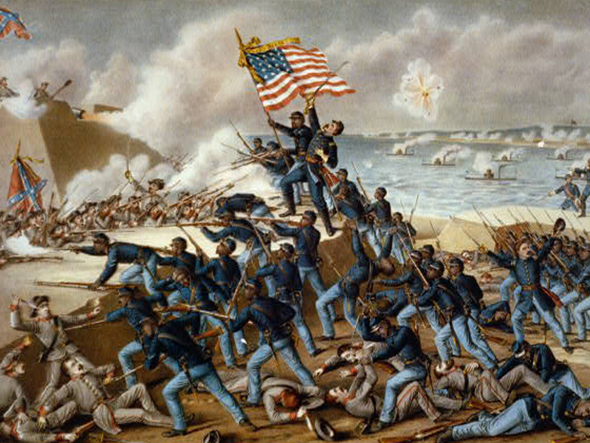 The Union Army was twice as large (and had twice as many casualties). 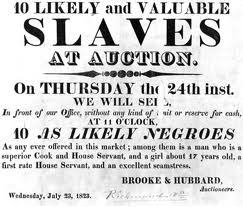 Some of this I didn't know, but I always knew that he was not for freeing the slaves & didn't care about them & their plight. It was for his glory and purpose that he acted like he cared. This is a good article except for one point. You do not provide any references. Where did you get this information? I believe everything you said, and have read from several extensive books (which provide references and pictures of original source documents) which explain this issue even further. It's just not many will believe you if you do not provide any proof. Where did you get those quotes from Lincoln? What about the other information? The two main books I have read from are "The South was Right!" and "Myths of American Slavery" I do not remember the author. You should check out "The Real Lincoln" by Thomas DiLorenzo. Good point! It would be more effective to have the actual references since the persona of Lincoln is the Great Statesman. I added the sources to the quotations. Thank you very much for the advice. Thanks for adding the sources. Good article. Gives me lots to think about and also encourages me to do more research on Lincoln. Interesting that Lincoln destroyed the source of his tariff income, which he claimed was the reason for keeping the southern states in the union. By sending Sherman to burn and loot and create total destruction of the southern towns and cities and farm areas, he destroyed any hope of prosperity and kept the south in ruins for years. This is typical of communist leaders too. They destroy their own income.